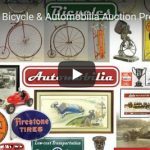 Copake Auction Inc. Secure Credit Card Submission Form – COPAKE AUCTION INC. This form is for submitting credit card information securely to Copake Auction Inc. for in house processing of your invoice/payment.